Use the drop down menu below to jump to the specific career section. The field of education is one that encompasses many different avenues, from teaching to administration. To secure our future, we need highly qualified educators who are ready to motivate and inspire the next generation of leaders. To become a certified teacher, one must first obtain a Bachelor's Degree at a minimum from an accredited college or university. In addition to earning a degree, the greater majority of states require their teachers to complete a Teacher Preparation Program prior to becoming certified and highly qualified. Different programs are available in order to train teaching candidates in their specific area of interest - grade level, subject area, or specialty. The specific route you take is up to you and your experiences. As mentioned above, most related degree programs will give you the option to complete your Bachelor's Degree requirements alongside with your Teacher Preparation Program requirements - these are often referred to as joint or blended programs. Many colleges and universities even offer joint Master's Degree and Teacher Education Programs. There are many pathways one can take towards earning the right teaching degree. The degree path you take is up to you, the school you attend, and the type of educator you would like to become. For example, those who aspire to become a School Principal might choose to earn a Master's or Doctorate in Educational Administration. Those who would like to become an Elementary School teacher might choose to earn a Bachelor's Degree in Education or Elementary Education. There are many degree options available to you. Before choosing a degree route, it is important to think about your personal goals. Where can you make the best impact? What type of educator you would like to become? A teacher? An administrator? Do you want to work in a primary school setting where you will be able to teach long-lasting fundamental skills to younger students? If so, you might consider an Early Childhood Education degree. If you prefer to work with older students in order to teach them a single or specialty subject, you may want to choose a Secondary Education degree. Each state has different requirements for becoming a certified teacher. To find out specific requirements, click on your state. Many accredited colleges and universities offer joint or blended programs. These programs combine the requirements for a degree along with the requirements for a Teacher Education Program. Candidates who know from early on that they want to teach can find a joint Bachelor's Degree program. Those who decide to become an educator after already earning an unrelated Bachelor's Degree can choose a joint Master's Degree program. However, isolated Teacher Preparation Programs are available as well. These programs only focus on the teacher preparation requirements and do not result in the earning of a degree. To join an isolated Teacher Education Program, one must have already earned a Bachelor's Degree. 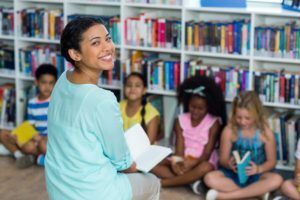 Pathtoteach.org, provided by the National Council on Teacher Quality, is another helpful resource for teacher preparation for the classroom. It is important for all teacher candidates to receive their training and education from an accredited program. The Council for the Accreditation of Educator Preparation (CAEP) has strict guidelines in order to maintain quality teacher preparation programs nationwide. CAEP's mission is to support continuous improvement to strengthen P-12 student learning. Prior to July of 2013, there were two other educator preparation accrediting agencies - NCATE and TEAC. To find out if the program of your choice is accredited, you may simply ask a representative from the program. Often times, accreditation information is also posted directly onto the program's website. In the last decade, online education has come a long way. Online programs have become a very popular and reputable way to earn a teaching degree. Online coursework is now a common component of a student's higher education. Additionally, student enrollment in online teaching degree programs have increased as it has proven to be a viable option for millions of students. Many online schools offer the same professors and curriculum as traditional programs found on-campus. However, online schooling offers more flexibility in terms of location and scheduling. As more and more teachers and teacher candidates choose online degree programs, it seems one of the main appeals is the flexibility. In many cases, those seeking an online teaching degree are already professionals in the field. With that said, they have jobs in the classroom and a set daytime schedule - leaving little to no time for commuting to and from a college campus. Professional students also might have existing family obligations and other time constraints. Online degree programs do not require students to re-organize their lives. That is why so many teachers and prospective teachers take the online route. Students can take care of their schoolwork whenever it fits into their schedule. Many students find success with this route, as they do not need to worry about rushing to or missing class due to work or other obligations. Online teaching degree programs give students the opportunity to earn a degree regardless of geographic location and physical ability. For many, it is nearly impossible to commute to and from a college campus and relocating closer to a school is not an option. In most cases, scholars do not live close enough to a college or university of their choice. Additionally, those seeking teaching degrees often already have a full time job and are unable to move closer to a school, thus making it seem impossible to earn a higher degree. However, online schooling has made earning a degree possible for these individuals. In order to earn an online degree, one must be able to access steady internet connection as well as a reliable computer. The cost of going to college and acquiring higher education plays a huge role in a scholar's decision making process. With tuition in mind, more students are choosing the online education route as a cost effective and viable alternative to schooling on campus. In many cases, online schools are able to maintain lower tuition rates because they have less overhead - in other words, they tend to incur fewer expenses. This is because online schools do not have a great deal of land and buildings to maintain and manage. Additionally, online schools do not have as much personnel and support staff to pay. For these reasons, online colleges and universities are able to offer lower tuition rates than traditional brick-and-mortar schools. Often times, students may find the cost of an online school to be quite comparable to that of a traditional school. However, students not need to pay for housing, relocating, parking passes, or commuting when it comes to online colleges and universities. Students can remotely work from the comfort of their own home, favorite coffee shop, library, or anywhere else. Additionally, since online schools offer such a flexible schedule, students are able to maintain or pursue a source of income. When it comes to teaching degree programs, online colleges and universities offer a myriad of options for students to choose from. Since geographic location is not an issue, students can choose a school from anywhere in the country. Online students can choose a degree program based on their strengths, rather than be forced to choose one merely on availability, convenience, or proximity to a school. This alone opens up numerous opportunities for students and their education. When choosing a teaching program online, always make sure to do your research and find out if the program is accredited. Online, you will be able to find many accelerated teaching degree programs. In fact, one of the most common upsides we hear about online teaching degree programs is the relatively short amount of time it takes to complete a program. Accelerated online programs consist of a series of short online courses. While a traditional college class lasts about 15 weeks, accelerated classes are often consolidated into five, eight, or ten weeks. Although online programs can be completed more quickly, classes might be more rigorous as students will be required to learn and complete assignments in a shorter time frame. However, many students tend to prefer this fast-paced schooling, as they feel less time is wasted. Is An Online Teaching Degree Right For Me? Online teaching degree programs are ideal for adult students who find it important to find a practical balance between work, family, life, and school. 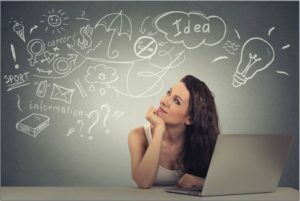 Often, those who thrive in an online learning environment can consider themselves to be self-starters. These are individuals who possess the ability to stay motivated and on top of their school work without much extrinsic motivation. Some students might lose motivation because they do not have the opportunity to interact with classmates. For those, that interaction is necessary for student success in learning the course material. However, if you are able to motivate yourself, you will be likely to find success in an online degree program. Since most instruction is not heavily lecture based, students with different learning styles can benefit as they can create their own method of learning and studying. Online education continues to grow as possible option for new and experienced educators. This is mostly in part to the fact that online teaching degree programs offer a lot of flexibility, which is extremely important to those who need to maintain a balanced work, family, and school life. Most online teaching degree programs combine flexible learning, academic rigor, as well as field experience. The field experience aspect is arranged by the college or university and allows for adult students to work with young students in a classroom setting. In most cases, you will be assigned a mentor teacher or supervisor. If you already work as a classroom teacher, your supervisor or mentor might be someone on you campus - this can be arranged by your school's administration or the online college you are enrolled in. Online teaching degrees are great for those who wish to work on their degree whenever and wherever most convenient. Having the right education is a must for those hoping to work in the field of education. 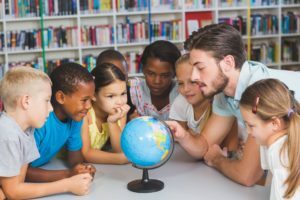 Teaching degrees provide prospective teachers with the theoretical knowledge as well as real-world classroom experiences needed for a strong background in the field. The goal of most teaching programs is to provide prospective educators with the skills needed to deliver superior education and instruction to their students. The best programs provide plenty of opportunities for student teachers to delve into real classrooms under the supervision of an experience master, or mentor, teacher. This gives teaching candidates a chance to apply their learning of theory to real classroom experiences. Teacher candidates, or student teachers, will often be given opportunities to learn through case studies and observations. In addition to the above, colleges and universities with great teacher education programs include an emphasis on content knowledge and how to best teach that content to students in a meaningful way. More and more, it has become important to teach 21st century skills through and with the curriculum. This might through exposure to educational technologies, multiple pedagogical practices, and cross curricular integration. You are on your way to entering a very rewarding career! We admire your passion and love for learning - so we want to help you. Every year, we will choose one dedicated person who has committed themselves to working in the field of education. You have the power to inspire our future. Adult education is a field that can offer a wide variety of options within the education realm. Those specializing in adult education can work with individuals who are company leaders, those who are trying to earn a GED or college education, and all over 18 who fall in between. An adult educator is typically required to hold at least a Master’s degree, but a doctorate is usually preferred. Learn more about getting a Master’s in Adult Education. A Doctorate in Adult Education is meant to prepare graduate students for leadership careers related to adult education, learning, and development. A main benefit of earning a PhD or EdD in Adult Education is the variety of career pathways that become available. Learn more about getting a PhD in Adult Education. Those going into a career in child development typically have a specific goal in mind. This tends to be working as a social worker, psychologist, early childhood educator, or within a day care setting. Child development is the study of the development of children from birth to adulthood. Those going into social work or psychology may be required more than just a Bachelor’s degree for the positions. Learn more about getting a degree in Child Development. A Master's Degree in Child Development is ideal for adult students who wish to excel in their career. Many who hold a Master’s Degree in Child Development partake in careers as teachers or school administrators. This degree can also allow graduates to become a school counselor, social worker, community organizer, child advocate, child home operator, or youth services organizer. Learn more about getting a Master’s in Child Development. Earning a Doctorate Degree in Child Development can open the doors for careers in child psychology, primary and higher education, and research. 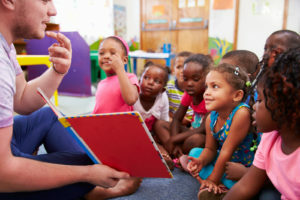 In order to pursue a PhD or EdD in Child Development, most institutions will require a master's degree in a related field. However, some schools do have direct entry programs. Learn more about getting a Ph.D. in Child Development. An Associate Degree in Early Childhood Education will usually take about two years to complete. Of course, program length will vary depending on class load. After one earns an Associate in Early Childhood Education, they will be able to go on to careers as child care workers, preschool teachers, associate teachers, infant/toddler teachers, and more. Learn more about getting a Associate in Early Childhood Education. A Bachelor's Degree in Early Childhood Education provides students with the knowledge they need to help young students succeed in school. 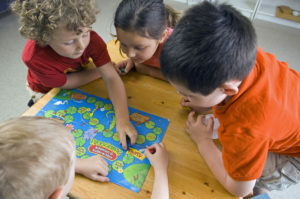 Programs focus on shaping the social, academic, and cognitive skills of children from birth to third grade. 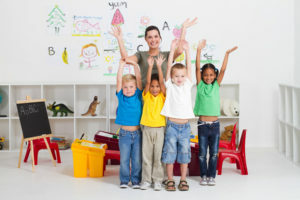 This degree can help you partake in a career as a preschool teacher, after-school program instructor or director, daycare professional, and with the proper certification - and elementary or special education teacher. Learn more about getting a Bachelor’s in Early Childhood Education. A certificate in early childhood education will help future educators begin a career working with young children. Early childhood education certificate programs tend to integrate fundamental classes with specialty-focused electives. Students gain the necessary knowledge and skills needed to establish a positive learning environments for young learners. Learn more about getting a Early Childhood Education Certificate. Early childhood education is the study of how to teach very young children. Children who are not yet required to attend school fall into the early childhood category. This covers areas such as birth to three, Head Start, and preschool or day care. Early childhood educators can gain degrees at all levels and responsibilities typically correspond to these degrees. A Doctoral degree may lead to running a child care center, while a Bachelor’s could have you as a teacher. Learn more about getting a degree in Early Childhood Education. A Master's Degree in Early Childhood Education allows graduate students to gain a deeper understanding of child development and the process of learning. Students are prepared with the professional knowledge needed for leadership roles such as preschool directors, public policy coordinators, child care administrators, child development instructors, and lecturers. Learn more about getting a Master’s in Early Childhood Education. A PhD or EdD in Early Childhood Education is usually for those already in the field of education. These graduate students wish to extend their knowledge and strengthen their theoretical understandings and expertise. The majority of doctoral programs are organized into an integration of coursework, research, and practical experiences. Learn more about getting a Ph.D. in Early Childhood Education. A Bachelor’s in education, depending on the area of specialization, will allow the holder to teach in a certain subject area or a range of grade levels. A Bachelor’s in education typically takes four years to complete with observations and student teaching as a requirement. Many holders will then go on to teach in a typical classroom setting or may continue their education for more specialized job placement. Learn more about getting a Bachelor’s Degree in Education. A Doctorate in education comes in two forms, the Ph. D. or the Ed.D., either can be useful in education. The holder of a Doctorate in education can choose to work at any level within their specialty. 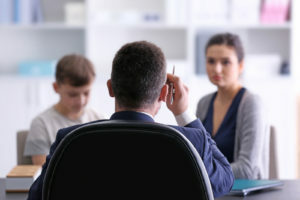 Gaining a Doctorate can take ten years or more so the holder is claiming a lifelong commitment to the pursuit and betterment of education in some form. Those with a Doctorate can work at a higher pay scale, but at any level, teacher, coach, administrator, or board member. Learn more about getting a Doctorate in Education PhD/EdD Degree. Graduate certificates in education make it possible for students to gain new and necessary skills quickly and cost effectively. The majority of graduate certificate programs can be completed in one year or less. Such programs are meticulously structured around a chosen area of specialization. As a result, time is not wasted on unrelated courses. Graduate certificate programs are available online and on campus. Programs in education are designed to help working educators enhance their career. Learn more about getting a Graduate Certificate in Education. A Master’s in education (M. Ed.) is available to those who hold a Bachelor’s degree though it does not have to be in education. An M.Ed. allows the teacher or someone in a field related to education to teach within the classroom, but often aids in specialization. An M. Ed. Tends to raise the pay scale for teachers and can open the doors to opportunities such as becoming a principal or school counselor depending on the area of specialization. Learn more about getting a Master’s in Education M.Ed. Degree. Educational leadership, otherwise known as educational administrators or principals, are those who lead the school in the directions that will best benefit the students and the educational process. An educational administrator is typically required to hold at least a Master’s degree, but often higher. These jobs are highly competitive and holders must often rise through the ranks to become the principal or leader of larger or well thought of schools. Administrators are needed at every level. Learn more about getting a Master’s in Education Administration. Educational leadership is an area of education for those who wish to work as administrators or leaders. In order to gain acceptance into a Master’s Degree in Educational Leadership program, one must first have a bachelor’s degree, typically in a related field like education. Learn more about getting a Master’s in Educational Leadership. Educational leadership is a field of study dedicated to school administration. 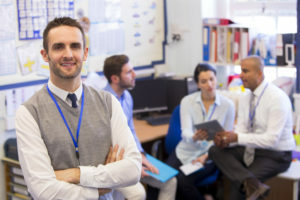 Educational leaders usually take on careers such as school principals, vice principals, specialists, or other administrative positions within the field of education. An educational leader will guide others while performing administrative duties necessary to the educational institution. Learn more about getting a Ph.D. in Educational Leadership. 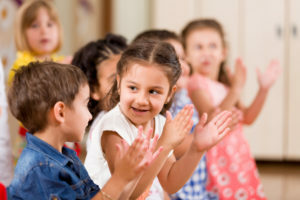 Elementary education is an area that involves the teaching of children in kindergarten through the fifth (sometimes sixth) grade or those who will teach that age of students. This type of degree can be earned at the Bachelor’s, Master’s, or Doctorate level and the teaching of students can occur at any of those levels. When earning the degree a student should expect observation hours in addition to student teaching. All subject areas are expected to be taught. Learn more about getting a degree in Elementary Education. Those who wish to obtain a Master's Degree in Elementary Education are those who want to advance their careers within the field of education. Graduate students seek to master their pedagogical practices in the classroom while others want to become teacher leaders or administrators. Learn more about getting a Master’s in Elementary Education. A degree in Higher Education can open the door to many career paths. A background in Higher Education can prepare you for careers such as teaching at the college level, becoming an administrator, and many more. With this degree, you may even be exposed to research opportunities if you wish to pursue that path. Learn more about getting a Master’s in Higher Education Administration. A PhD or EdD in Higher Education Administration is for professionals who want to excel in the field of higher education. This requires a lot of dedication and focus. Graduates may teach or lead at higher levels, such as college or university. These individuals may also become administrators. Learn more about getting a Ph.D. in Higher Education Administration. Those who study Human Development learn about the emotional and cognitive development of humans as well as their relationships. This includes the study of families and how human interaction impacts development across all ages. A Human Development Degree may help you qualify for careers in various ares. Learn more about getting a degree in Human Development. The field of Curriculum and Instruction or Instructional Design is fast growing. 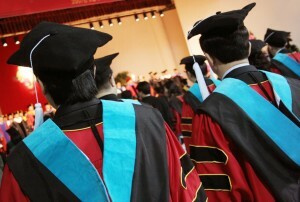 Although Doctorate programs can be found, most seek a Master's degree in this field. The programs often focus on curriculum development methods as well as effective instructional practices. Those with a degree in this field often go on to becoming highly qualified teachers, curriculum specialists, curriculum designers, and curriculum coordinators. Learn more about getting a Master’s in Curriculum and Instruction. Doctoral programs in curriculum and instruction are for those who seek an advanced research or teaching position. An EdD or PhD in curriculum and instruction can lead to career advancements for those who wish to move beyond the classroom and into a curriculum design or specialist position. Learn more about getting a Ph.D. in Curriculum and Instruction. A library science degree is typically for those who wish to hold the position of librarian or school technology specialist in an area. Though available at all levels, a Master’s degree is typically required and preferred to hold such positions. Job duties may include maintaining a library by ordering books, tracking student use, and monitoring technology as well as teaching students and staff how to use available technology within the school. Learn more about getting a degree in Library Science. A Master’s Degree in Library Science may allow you to enter the public library sector or school library sector. Additionally, graduates may entertain careers such as as museum archivists, web analytics managers, researchers, technology information specialists, automation coordinators, and/or head of access services. Learn more about getting a Master’s in Library Science. School counselors act as advocates for the overall education and well being of students. A school counselor may deal with student issues ranging from home life, personal life, to school life. Learn more about getting a Master’s in School Counseling. Secondary education typically refers to grades six through twelve, but may only include high school in some areas. Those who teach in secondary education hold a minimum of a Bachelor’s degree, typically in a specific area such as reading, algebra, biology, etc. Secondary education degrees are available at all levels with the pay scale rising with each level of degree. Science and mathematics educators at this level are highly sought and are often offered incentives. Learn more about getting a degree in Secondary Education. Special education is a field with many career options. Special education teachers may specialize in mild, moderate, severe, or gifted areas. Those who choose to go into special education will know that it takes a special person with the right passion to become a successful teacher. Learn more about getting a Master’s in Special Education. Special educators can work with children at any age within their qualifications. This includes children in preschool, up through high school. Though most special educators will work with students who have disabilities, this degree also covers gifted and talented students at varying levels. Special educators may work in classrooms with mainstream teachers or in self-contained classrooms for students at the moderate to severe range with any combination on that spectrum. Learn more about getting a degree in Special Education. A Master of Arts in Teaching (MAT) is for educators looking to acquire the skills and knowledge necessary to become master teachers. This degree emphasizes the importance of the teaching career, focusing on practical skills and subject-specific content. Within an MAT degree program, there can be many specialties, such as Secondary Education, Elementary Education, K-12 Education, Reading and Literacy, and more. Most Master of Arts in Teaching programs will take two years to complete. However, candidates often find online programs to be shorter in length and more convenient. Learn more about getting a Master of Arts in Teaching (MAT). TESOL stands for Teachers of English to Speakers of Other Languages. TESOL focuses on the education of teachers who wish to teach the English language to non-native speakers. Although the degree is offered at the Bachelor's, Master's, and Doctorate levels, most candidates go on to earning TESOL Certification or a Master's Degree in TESOL. A Master's Degree can take two to three years to complete; however, most online programs allow students to complete the requirements at a faster pace. Learn more about getting a Master’s in TESOL.